A great class to start your Yoga practice and develop flexibility. Using Yoga props and accessories, this is a gentle to moderate yoga practice that will energize your body and bring you mental clarity. Vinyasa Yoga is the linking of body movement with breath to form a continuous flow. Known as Fitness Yoga the pace is faster resulting in a stronger leaner physique with the added benefit of weight loss. If you like to keep moving and are ready for the challenge, this style is definitely for you. A challenging class suitable for experienced Yoga practitioners. The use of the chair is to direct awareness to different areas of the body in order to enhance the understanding of the poses. This is a great practice for everyone, as it deepens flexibility and strengthens personal body awareness. Restorative Yoga is a method of Yoga that seeks to achieve physical, mental and emotional relaxation with the aid of props. Feel muscle and joint tension release as the body softens and, notice your breathing becoming easier as you relax from within. You will feel refreshed, renewed, re-balanced, and restored. Classes on the Yoga Rope Wall will differ from other styles of yoga. 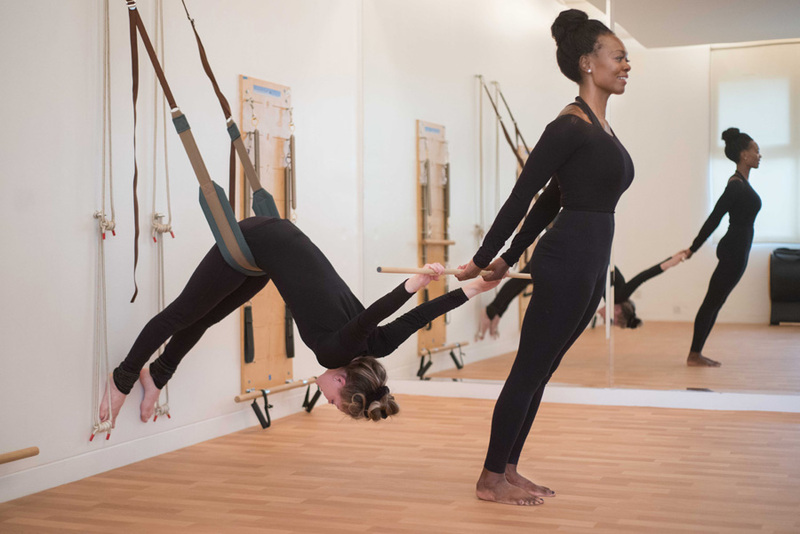 The ropes work by using gravity as a natural form of resistance, causing the body to open much further than it would in a regular yoga practice. This Yoga equipment class is suitable for everyone and is especially beneficial for spine health.